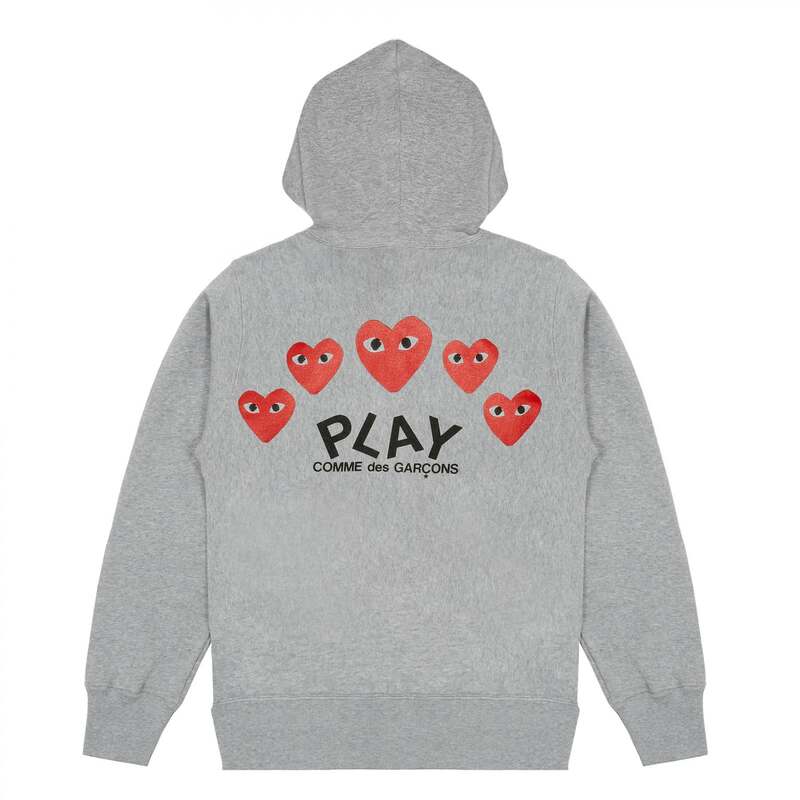 This is a new style for the Comme Des Garcons PLAY range. It is a classic fit hooded sweatshirt with a zip through fastening. This Japanese made hoodie has exceptional quality loop-back jersey, ribbed cuffs and generous hood with tie.